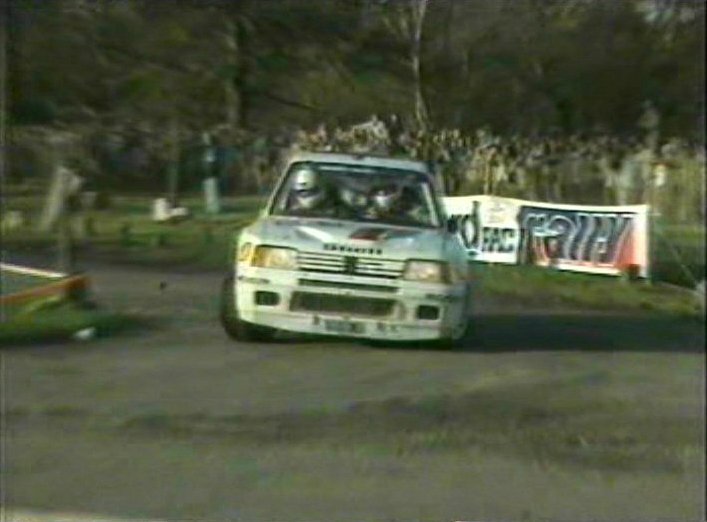 IMCDb.org: 1984 Peugeot 205 Turbo 16 Evolution in "30 Years of the RAC Rally, 1991"
205T16 ... not GTi ... is almost offensive! 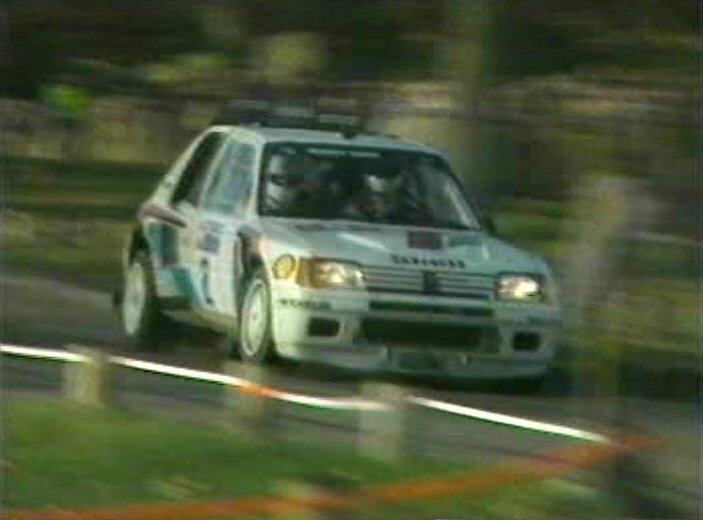 Current WRC cars = 300 bhp, officially (around 400 bhp in reality). 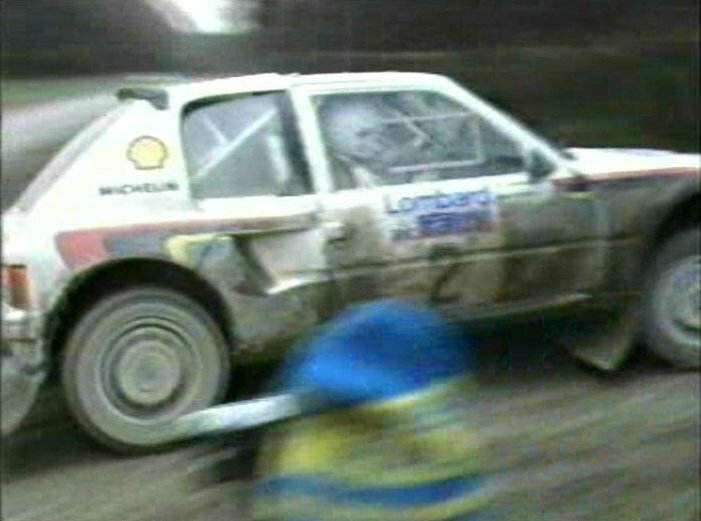 Group B cars from that period (1984-86) = 420 to 550 bhp. 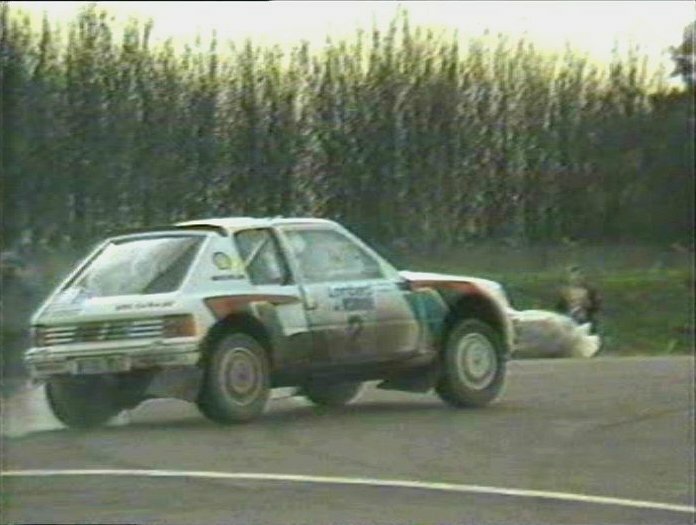 The shot looks like it were taken from the video game FlatOut.